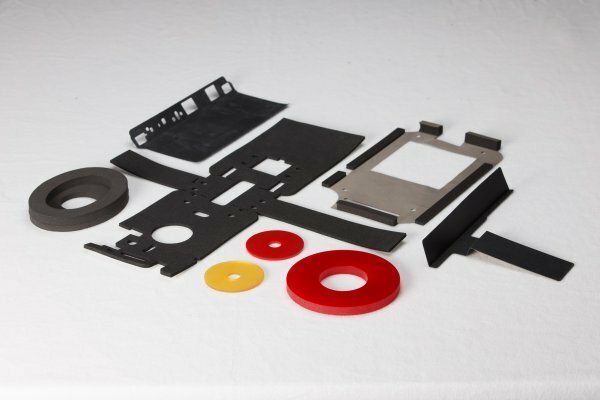 If your project requires custom die cut gaskets or custom die cut seals, look no further than REDCO. With our extensive die cutting capabilities, we can create gaskets and seals that match your designs and specifications exactly. To guarantee quality and the accuracy of the finished product, all of our steel rule dies are laser cut. We produce custom die cut gaskets that require superior precision and/or intricate shapes. Kiss cutting, horizontal and vertical cutting are available. All custom die cut gaskets and custom die cut seals are available with or without pressure sensitive adhesive backing. We can meet a variety of industry specifications, including RoHS, FDA, Mil Spec, UL, ASTM, and others. Our custom gaskets and seals will meet or exceed your personal expectations for quality and precision. Specialty materials may be available upon request. Contact us to inquire about material availability. 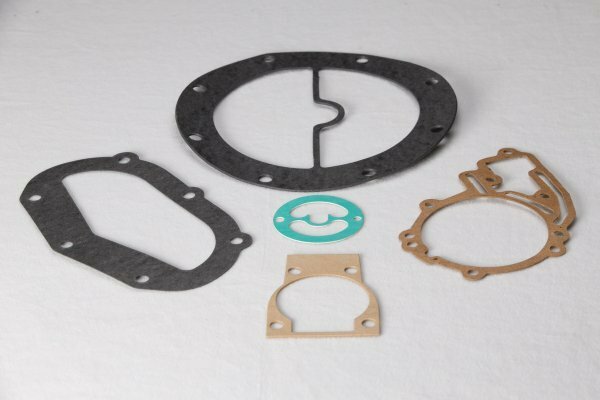 If you’re not sure which material is best for your custom die cut gasket or seal, our knowledgeable staff will work with you to find the right one for your needs. 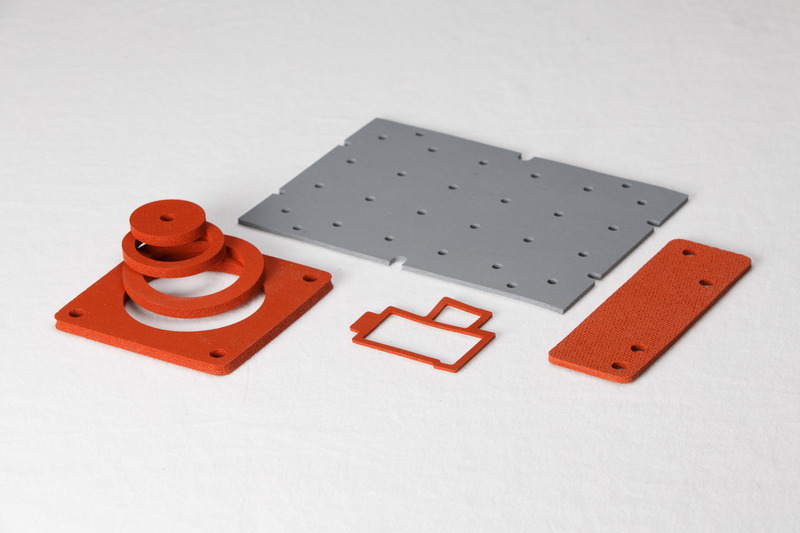 Whether you need a handful of prototype pieces or full production runs at quantities in the thousands, REDCO is your number one source for custom die cut gaskets and custom die cut seals. Request a quote today, or contact REDCO for more information.